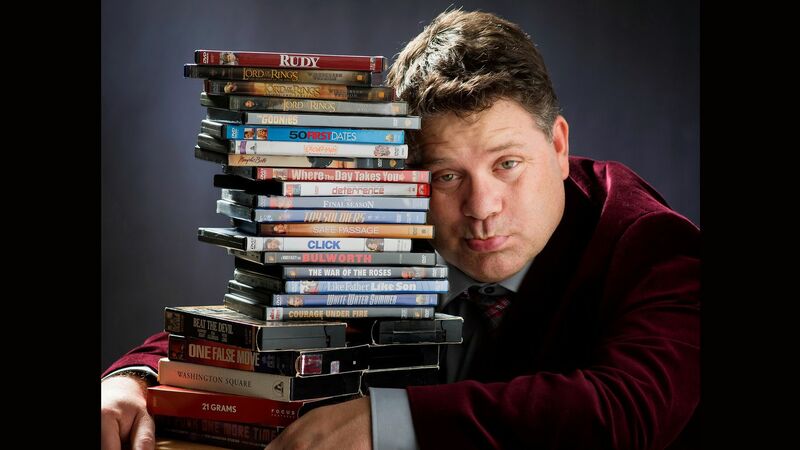 Sean Astin is, was, and will always be the leader of the Goonies for me. As a kid, hell right now, I would follow Mikey into the pits of hell to find One-Eyed Willy’s treasure. I still pine for a Goonies 2 and I still want Brand to rock the shorts of sweats look as a high school gym coach. But Sean Astin is much more than this. The Goonies – This is one of my favorite movies of all time. It is also one of my favorite Speilberg movies. Great kid action comedy with one of the best casts ever put on screen. It holds up and is completely ready for a sequel all these many years later. Encino Man – You can rake this movie and its stars over the coals as much as you want but when it came out you all went to see it and you all liked it. Don’t pretend like you didn’t. Shhuuuuush! The Lord of the Rings Trilogy – Sam was potentially the most important character in the film. He was not a fighter, he was a friend – he made sure that the task got completed. 50 First Dates – At times I can’t believe that he stuck with the accent the whole time. Astin as Doug was great casting and he is wonderful in the role. Stranger Things – Stranger Things is like The Goonies as a TV show. When Astin popped up in Season 2, I could not have been happier. Wanted a version of “Goonies Never Say Die!” to be uttered but it was ok.